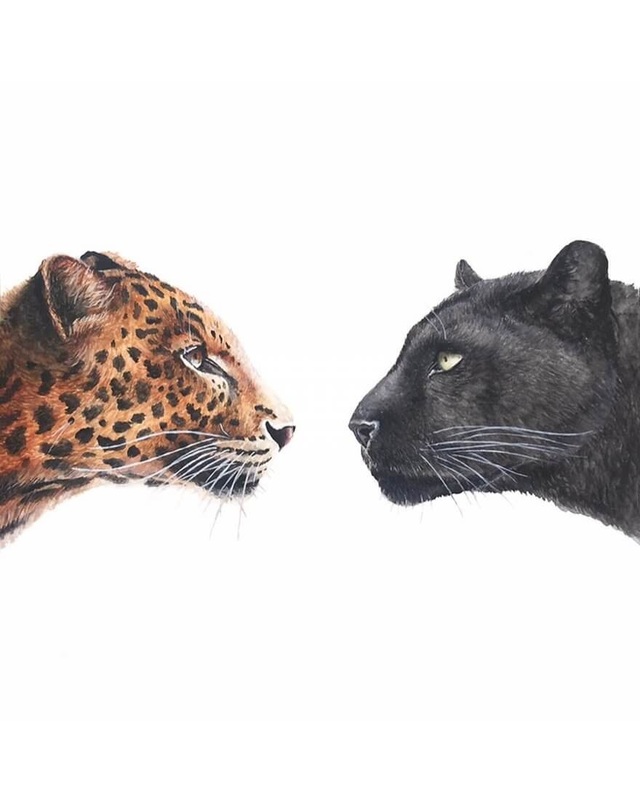 Paintings of Animals in groups, alone and head to head with their cousins. 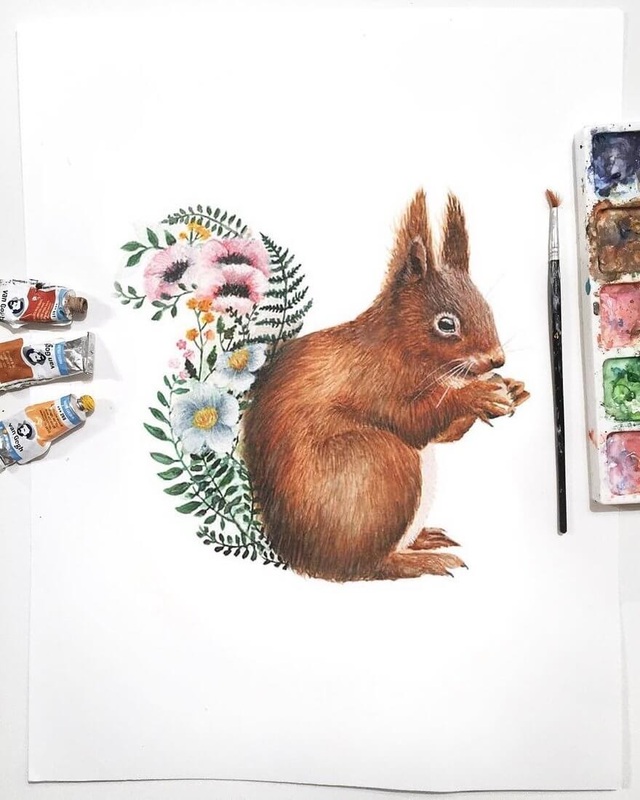 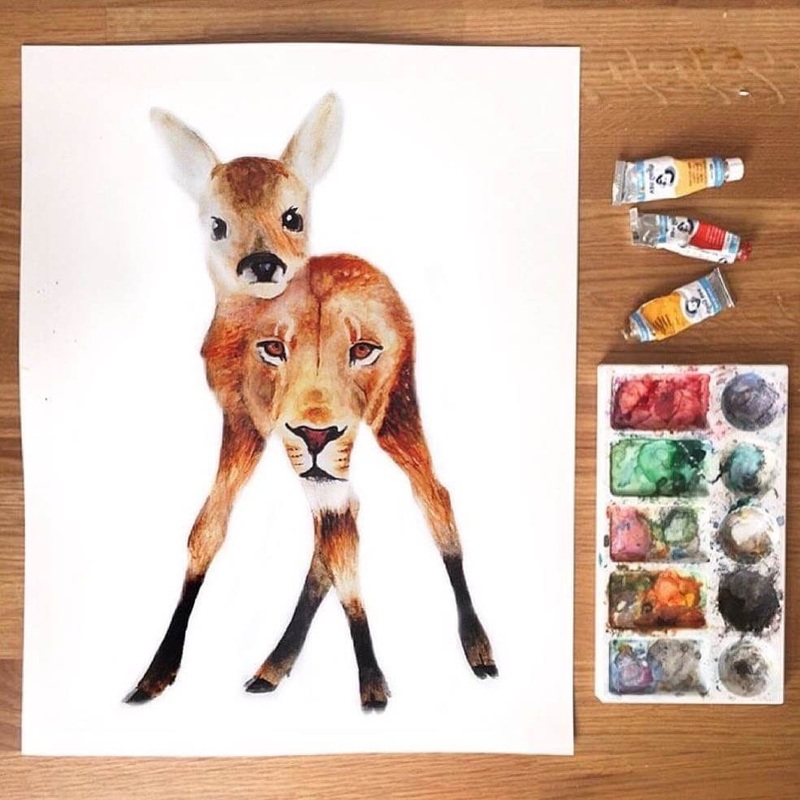 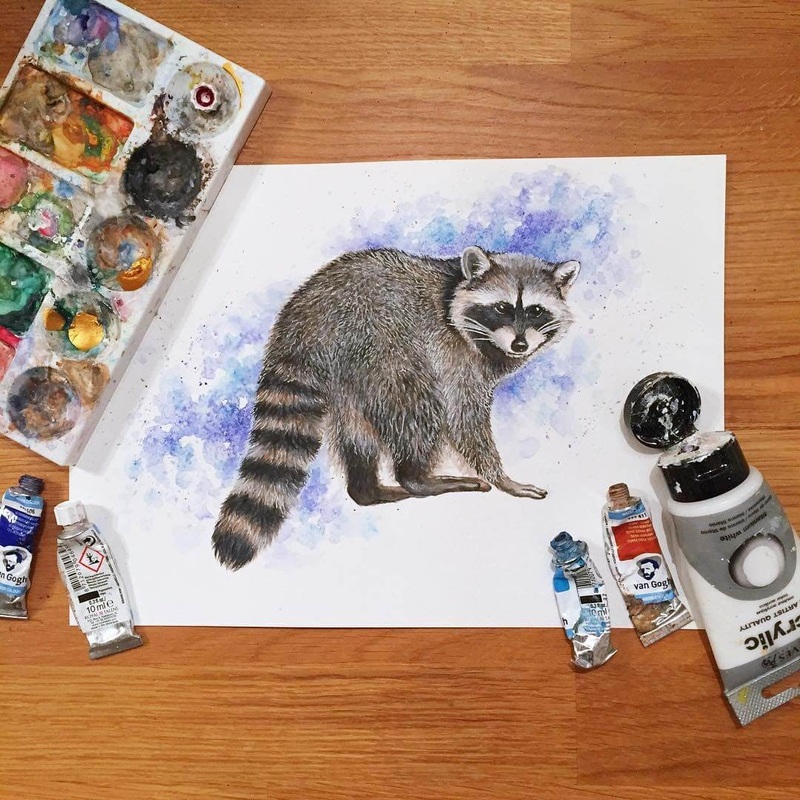 Austrian Artist Kathrin Schwarzoviously, tries different formats for her wildlife animal paintings. 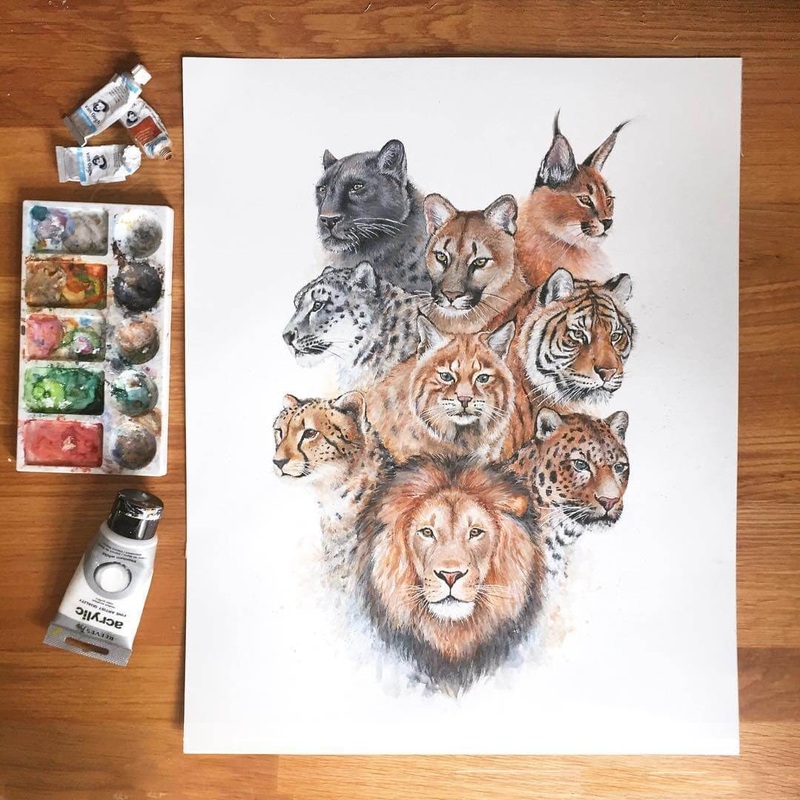 There are many different variations in setting up, following a logical pattern that is lovely to see evolve and mutate, throughout the page. 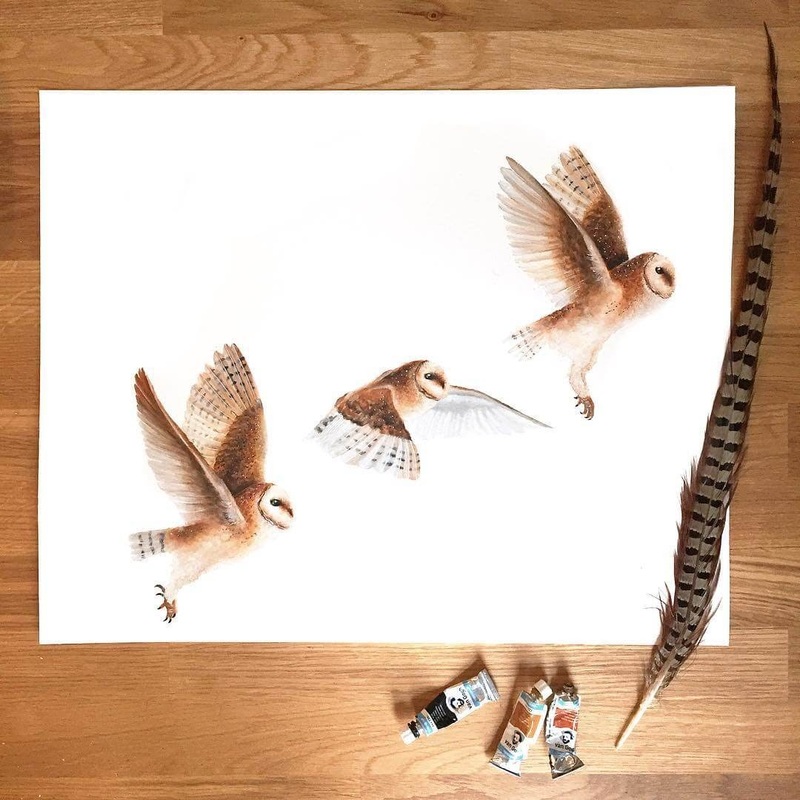 There is something, a technique or an expression on the face, to like about each illustration, but the one I love is the owl taking flight, such a beautiful progression of movement... More of Schwarzoviously's work, here on DesignStack, below. 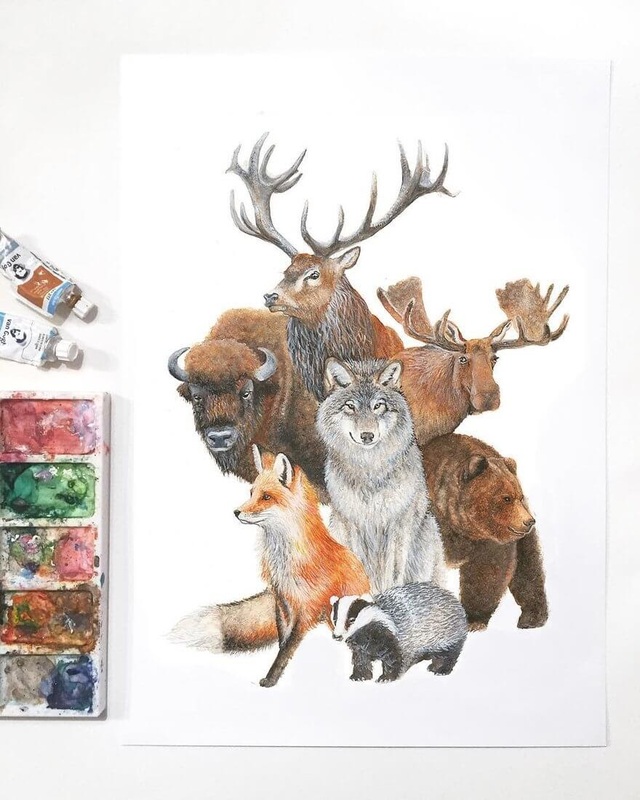 European Animals Fox, Wolf, Badger, Deer, Moose and Bear. 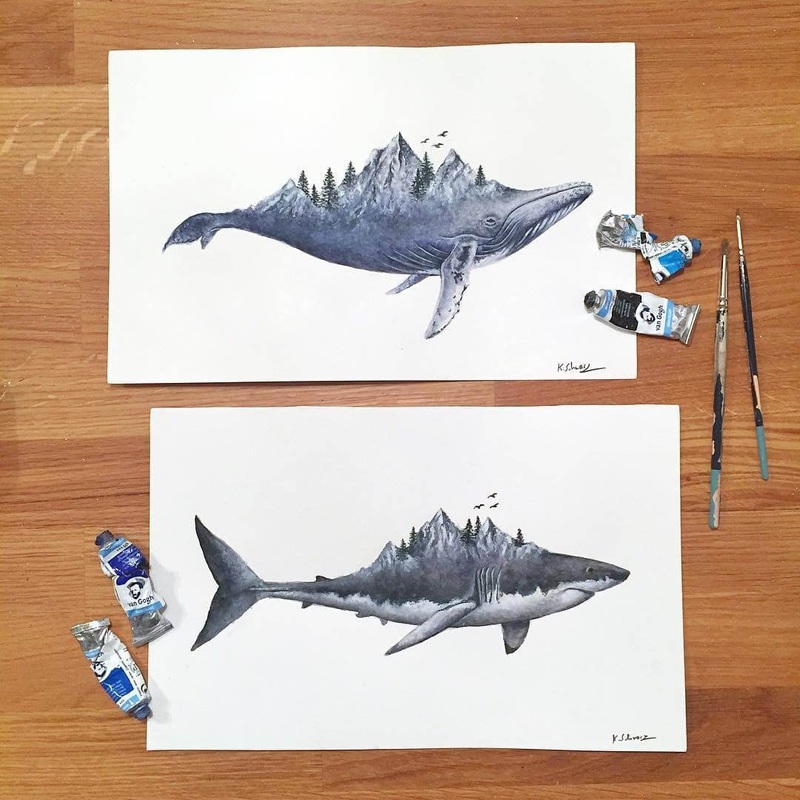 Whale and Great White Shark. 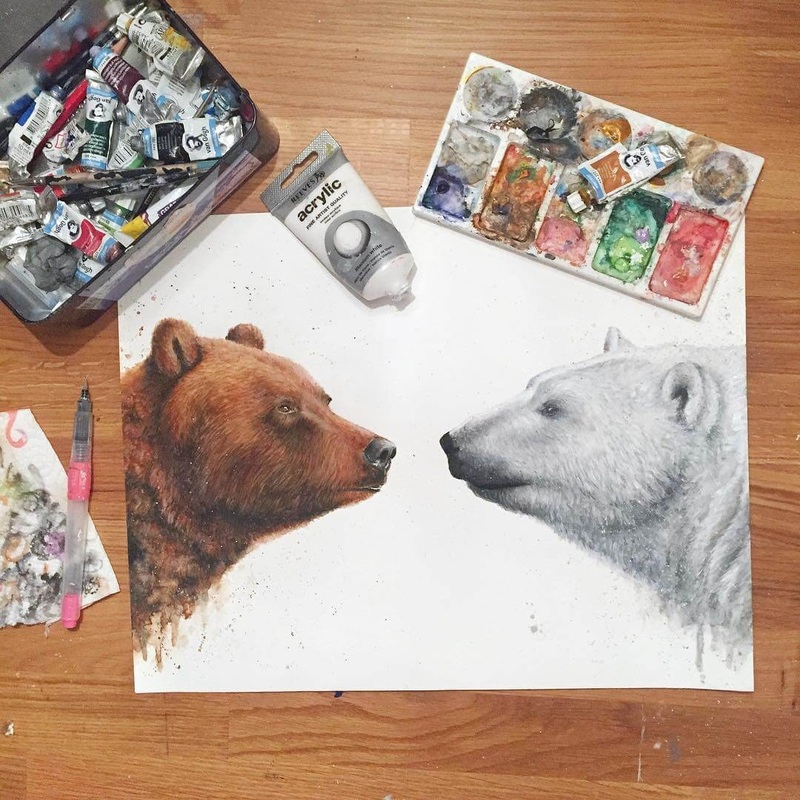 Grizzly Bear and Polar Bear. 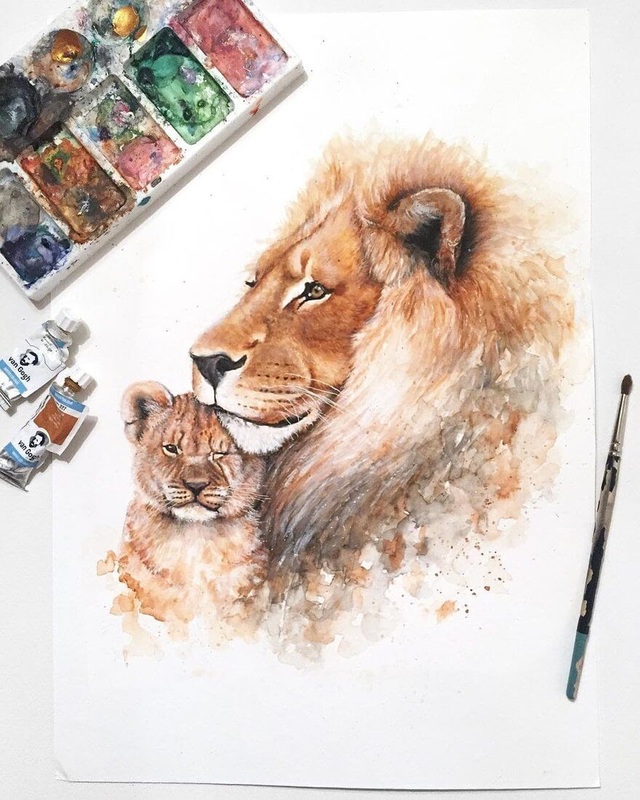 Baby Deer and The Lion. 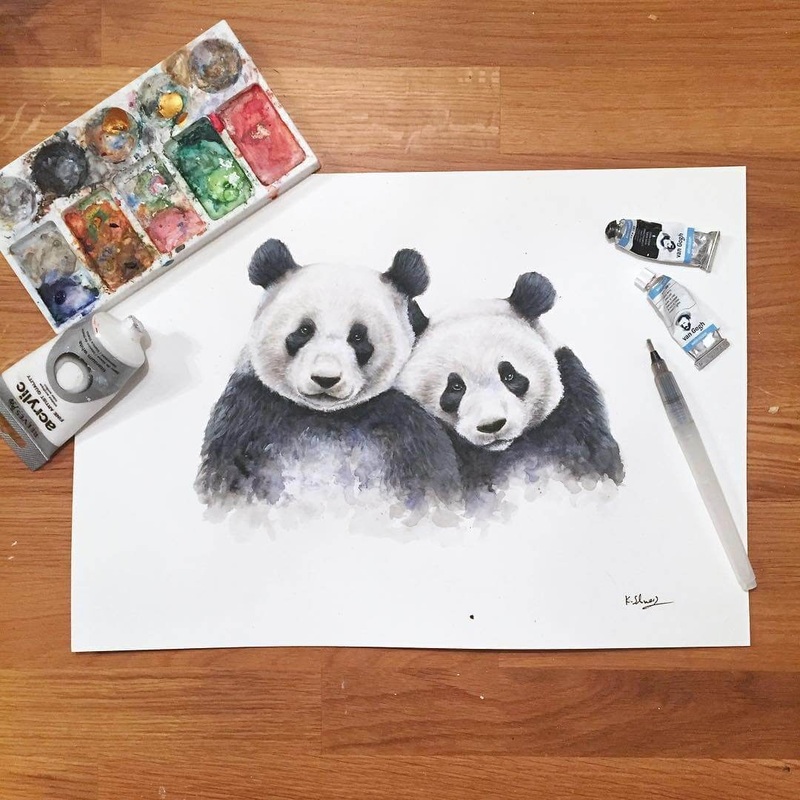 Thank you very much for your comment, I hope you have a wonderful evening or morning.